Some of the artists visited Hull in December. Alan Davey, Controller of BBC Radio 3, BBC Proms and the BBC Orchestras and Choirs said: The contemporary music scene is buzzing and its great to have played a part in choosing those composers who will be part of this year’s New Music Biennial. The panel had a difficult job making our choices, but I think we have made some interesting, arresting and wide ranging choices that will thrill and stimulate both established and new audiences for great music. Better known to some as a baritone soloist, Roderick Williams’ reputation as a composer is growing steadily. His Advent antiphon O Adonai has become something of a favourite for choirs on both sides of the Atlantic and his Ave Verum Corpus Re-imagined was awarded the BASCA prize for Choral Composition in 2016. The commission will be a significant new work which Chineke! plans to tour in a jazz-inspired programme to English festivals in 2020. The Centre Is Everywhere is a commissioned work by British composer Edmund Finnis, written for Manchester Collective. Finnis’ work is a response to Richard Strauss’ masterpiece for string ensemble and will be composed for 23 solo string players. In this starkly original new work, Edmund Finnis has painted something beautiful and strange, a music of close whispers and myriad reflections. The Centre Is Everywhere will receive its premiere at the New Music Biennial, and will be taken on tour by Manchester Collective the same year to venues in Manchester, Salford, Liverpool, Leeds, Nottingham, and London. Following the tour, both works will be recorded and distributed, digitally, and on vinyl. 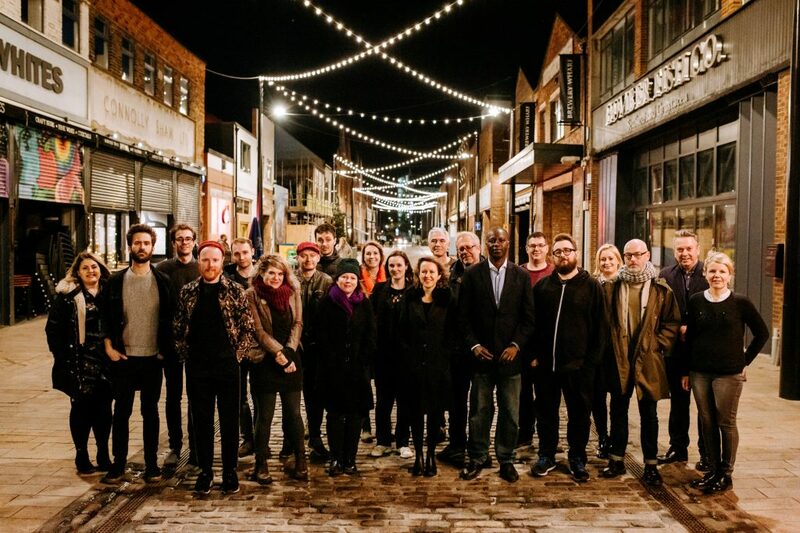 Where to Build in Stone is an audio-visual work inspired by the shapes and sounds of the city of Hull, originally commissioned by J-Night for Hull Jazz Festival 2017. Performed with a combination of electronic instruments and arrangements for strings & woodwind, the piece is a haunting and vivid soundscape embroidered with evocative melodies. The visual counterpart explores Hull over the course of a day, telling the story of the city through the things that are everywhere and overlooked; the familiar seen from an unfamiliar perspective. Be the first to comment on "PRS Foundation’s new music biennial 2019 announced"